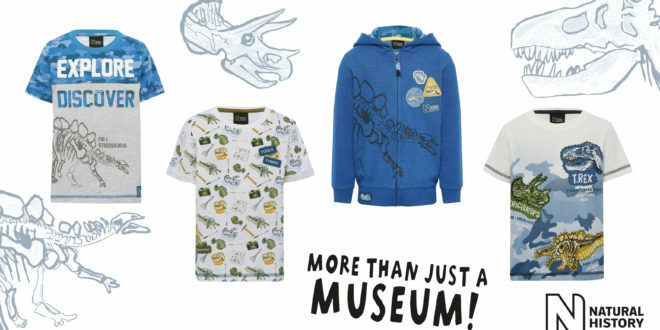 The Natural History Museum has launched a new line of licensed apparel for children in partnership with Fashion UK. The collection uses the artwork inspired by the Museum’s recently launched style guide and will be available exclusively at M&Co. 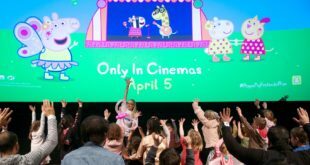 The childrenswear range – three children’s t-shirts and one hoody – launched on May 7. The range is aimed at children aged three to 13. The artwork for the range is based on Explore the Plains, one of the four style categories offered by the recently published Natural History Museum children’s style guide. Key phrases such as ‘fossil hunter’ and ‘explorer’ can be seen in the graphics across the range, resulting in a clothing range that is designed to encourage kids to take an interest in natural science. The childrenswear line is being supported by POS material, both online and in-store, highlighting the Museum and the work that it does.